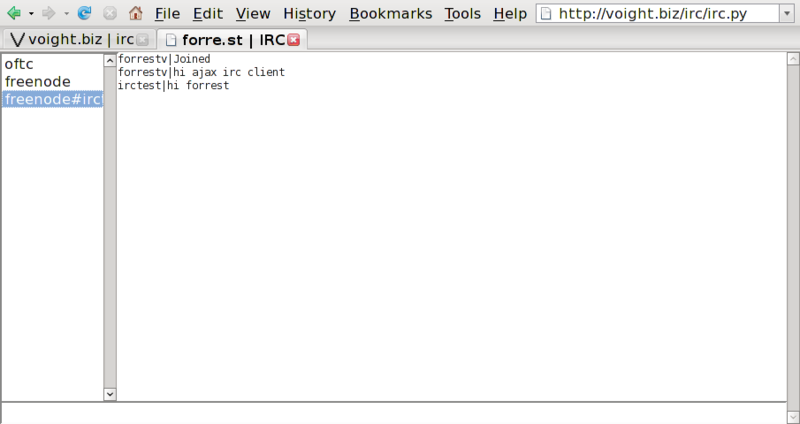 I'm working on an AJAX irc client. It is nearly complete. It maintains a constant connection to multiple IRC servers and channels, and buffers messages. It serves AJAX COMET pages via an SCGI link to a web server. Content last edited November 06 2010 01:45:38.